Nakshi - TOPS Infosolutions Pvt. 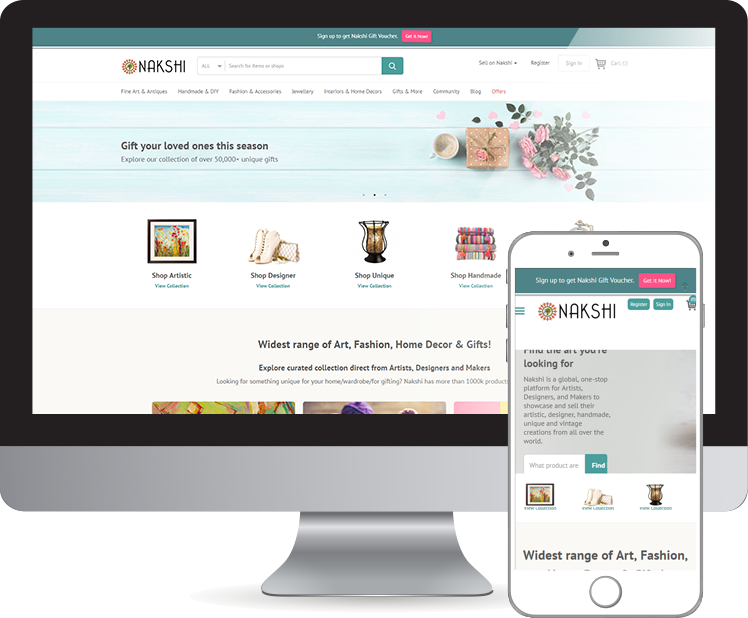 Ltd.
Nakshi is a place for artists to share their handmade creations to the world and monetize on them without unnecessary complications and competition of ecommerce marketplaces. 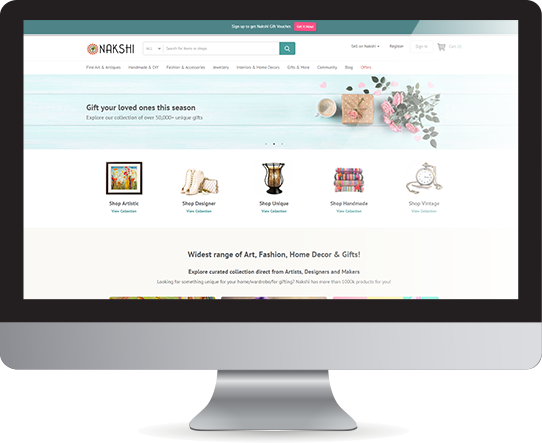 It is a curated innovative platform for artists, fashion designers, artisan, craftsman, handcrafted jewelry, unique gifts, and vintage creations. This website is developed to offer a number of features to its users. In addition, this great application platform epitomizes various features that drive innovation and is a demonstration of our technical know how.